At the Summary step of the wizard, complete the procedure of VM guest OS files restore. Review details of the restore task. 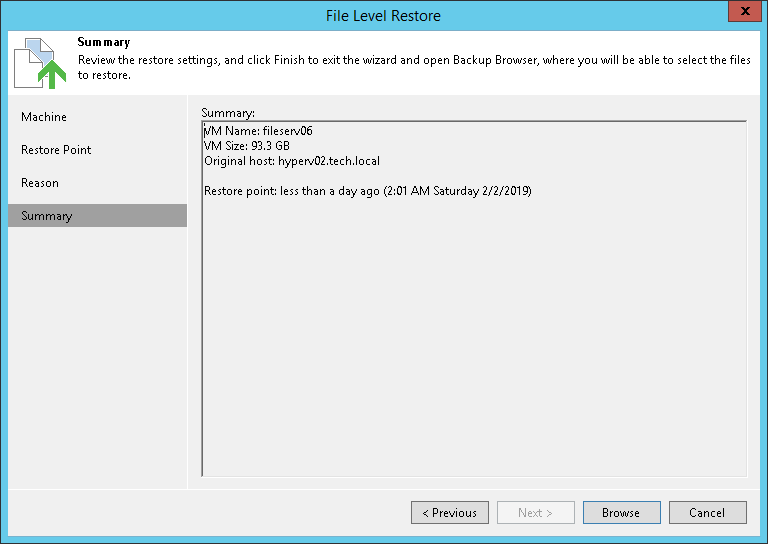 Click Finish to start restoring VM guest OS files from the backup.